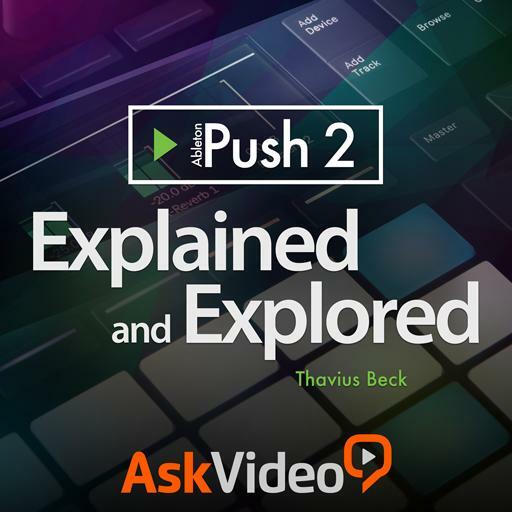 Push 2 101 - Explained and Explored. Is Push 2 capable of displaying an audio waveform? Can you add Audio directly from Live's browser using Push? Is it possible to make new clips record for a specific amount of time? On the default Note mode layout, what do the colored pads represent? True or False: the Start parameter and the S. Start parameter do the same thing. True or False: Clips made with the Step Sequencer can only be 1-bar long. Can resampling be set up using Push by itself? When the record button is on, played pads turn ____. Does an LFO generally repeat? True or False: Cropping removes everything before the start and after the end points. Is it possible to change the length of a step after it has been recorded? Can you create your own slices from Push? What track types can we add by using the Add track button? True or False: Reversing a sample requires you to bring the end point before the start point.